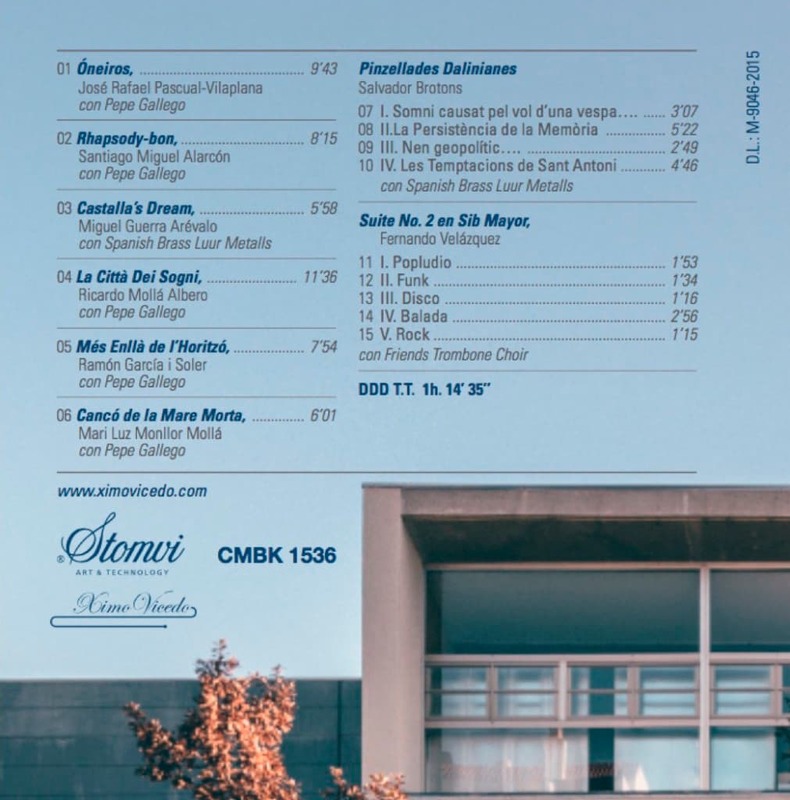 LO SOÑADO is his first solo CD. A project released under the label CMBK (cable musical bertram kornacher), devoted entirely to trombone repertoire accompanied by different combinations (piano, brass quintet and trombone choir). Among its peculiarities it should be spotted that all works are written and dedicated to Ximo Vicedo by Spanish composers. On one hand, mention the participation of great musicians like the pianist Jose Gallego, the brass quintet Spanish Brass Luur Metalls and the trombone ensemble Friends Trombone Choir formed especially for for this occasion by trombonists who have a long term friendship with Ximo Vicedo. The singularity of LO SOÑADO lies in the creation of a corpus of works for solo trombone composed entirely by Spanish composers. This CD is therefore intended to be a small contribution to the repertoire originally written for trombone. That was, since the beginning, an important part of the dream. Its title, LO SOÑADO, is given because dreams are the raw material of art and the great progress of humanity. Dreams are the source of the purest of fullness of the human mind, and through them we express what the soul craves, without limitation or filters. “We die when we stop dreaming”, many writers and thinkers say, refering to the creative and invigorating ability of dreams; they are the starting point of countless masterpieces. 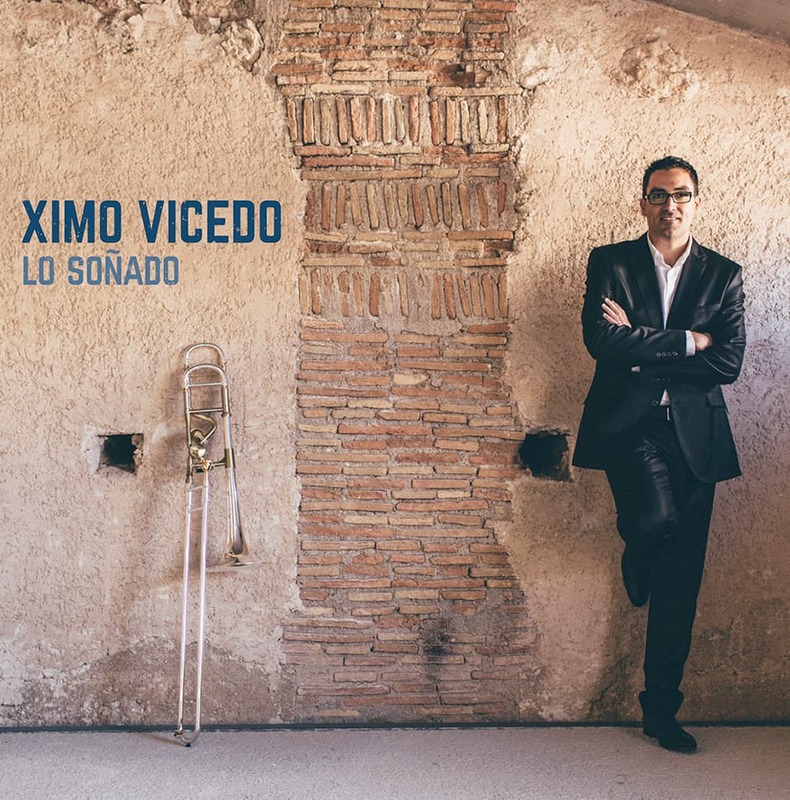 Ximo Vicedo presents his dream come true, brought to life through the language that he dominates the most: music, and using his instrument as his tool: the trombone.